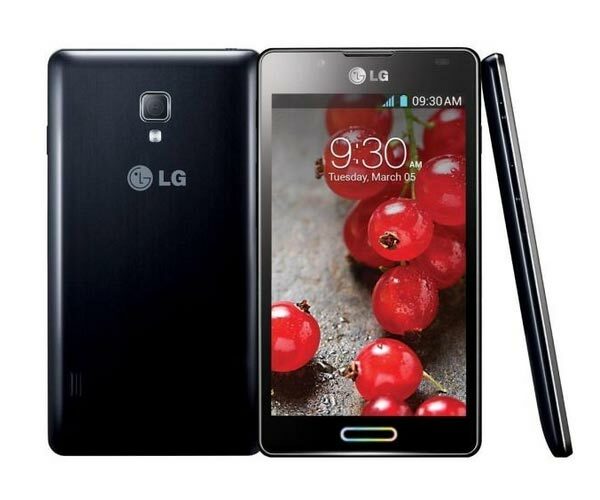 Also known as the LG Optimus L7X P714, this model from the LG phone company is mainly appreciated for its great cameras and amazing connectivity features. It supports speeds of up to 7.2 Mbps for downloading and 5.76 Mbps for uploading files and the dual-core processor it’s equipped with ensures the best response to commands. If your device ever stops responding as it should, than it might have been attacked by a virus, when you should do a hard reset on the LG Optimus L7 II P710. As you may already know, this is a simple procedure that is also called a master reset or factory restore. The latter is one of the best ways to summarize what it actually does, as this operation will bring the device back to its factory software. This means it will erase all user files and get rid of the viruses in about 5 minutes, but you should not forget to create a backup in case you need some of the documents on the internal RAM. Speaking of the storage capacity of this LG Optimus, you should know that it can store up to 4 GB files, but it also comes with a slot for microSD cards. These ones will enable you to save some extra 32 GB, and it’s also very useful when making the necessary backup for this procedure. Since we bragged about the cameras, we should also mention that the rear one is an 8 MP camera with geo-tagging and autofocus that can shoot w480@30fps videos. You’ll also be able to take advantage of a VGA camera on the front. 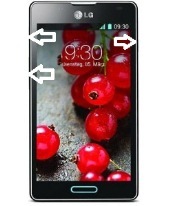 The Android OS used on this device is Jelly Bean – version 4.1.2 – and it recently started giving the option of upgrading. This means that users will be able to install KitKat – version 4.2 – on the LG phone if they want to. Coming with GPS and FM Radio, this smartphone is also equipped with an Adreno 203 GPU and the well-known Qualcomm MSM8225 Snapdragon chipset. The Optimus L7 II P710 can be restored to factory soft using similar techniques to the ones you’d normally use on your P713, P716 or other models of the same kind. There are three main methods – one of them involves using the hard reset buttons, the other one has to do with the LG Mobile Support tool while the last one will use the main menu. Before you get started with any of these methods, it is recommended to do a backup and save all important files onto your computer, a cloud or another device of your choice. You can do this in less than half an hour, and it will then take up to 5 minutes to perform the reset itself. Turn the power off and press Volume Down & Power & Hot key. Hold all three keys for 15 seconds and wait for the LG logo to appear. Release the buttons when the logo disappears and the reboot will begin. Open the tool and go to Customer Support. Tap Recovery Phone, and then go to Support. Press Mobile Phone Support and select the model. Open the Menu and select the Settings icon. Press Backup & Reset, and then go for Factory Data Reset. Tap Reset Phone and confirm by pressing Delete All.